Tiffany & Co. strives to conduct business in an environmentally and socially responsible manner. We are setting the luxury industry standard through our leadership in encouraging responsible mining practices and furthering sustainability around the world. We also promote programs through which Tiffany employees can make a difference in the global communities where we do business. “Tiffany believes we have both a moral and a business imperative to do our part to sustain the natural environment and contribute to the communities where we operate. From speaking out about climate change to advocating for precious landscapes, seascapes and wildlife, we’ll continue to use Tiffany’s brand influence to have a positive impact and help set the standard for the luxury jewelry industry.” – Anisa Costa, Chief Sustainability Officer at Tiffany & Co.
Tiffany refuses to sell coral jewelry to protect vanishing coral reefs. Tiffany has publicly opposed precious metal mining in places of unique ecological and cultural value, such as Bristol Bay, Alaska, and the lands surrounding Yellowstone National Park. Tiffany’s iconic “Blue Box” packaging uses paper from responsibly managed forests and includes recycled material. Tiffany has state-of-the-art solar power systems in place at several of our distribution and manufacturing facilities. Tiffany insists on personal and professional integrity in a positive and discrimination-free work environment. Tiffany collaborates with the jewelry industry, the NGO sector, and across the supply chain to further standards for responsible mining. Tiffany’s Social Accountability Program helps ensure that our vendors are held to exacting environmental and social standards. Tiffany & Co. honors and respects the customs, values and communities in which we operate and works to enrich those communities in a meaningful way. Through Tiffany Cares, an internal program that supports employee philanthropic initiatives as well as contributions to disaster relief efforts, Tiffany & Co. promotes the interests of its employees in by matching contributions to and time volunteered at eligible charitable organizations. The Tiffany & Co. Foundation, a separate legal entity, seeks to preserve the world’s most treasured landscapes and seascapes by awarding grants to nonprofit organizations working in responsible mining and coral conservation. We also focus the scope of our corporate giving efforts through The Tiffany & Co. Foundation’s philanthropy. 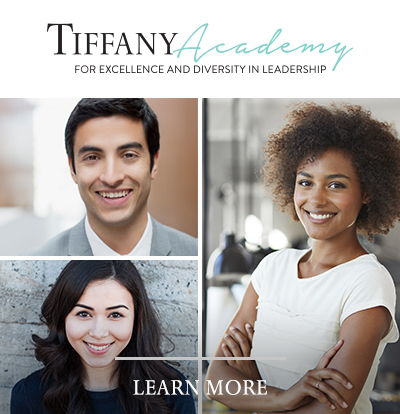 At Tiffany, we believe a diverse workforce makes a difference. We recognize each employee’s knowledge and skills as an important source of organizational capability and competitive advantage. We celebrate our diverse workforce through activities that recognize the heritage of our employees; we create opportunities throughout the year for our employees to connect and learn, speak openly about ideas related to identity, and celebrate each other’s differences and accomplishments. To learn about Tiffany & Co.’s commitment to sustainability, and to read our full Corporate Responsibility report, please visit www.tiffany.com/sustainability.